Each organization should receive general training on ISO/IEC 17025 to expand their knowledge and are aware of what the organization needs to do in order to meet the requirements of the standard. Begin with our FREE 17025 Quick Start Kit. All of your employees will need to be trained to work with the 17025 Quality System. Design and document your ISO/IEC 17025 general requirements for the competence of testing and calibration laboratories quality manual and procedures. The biggest portion of the project is looking at your current processes, and redesigning them to address all of the requirements of the standard. Once you have modified or developed processes to meet the standard, you will need to control those processes. Documenting the processes as Quality System procedures is part of this control. Use and improve your QMS – Is it working? You will conduct internal audits to see how your system is working and to improve it. This prepares you for an Audit. 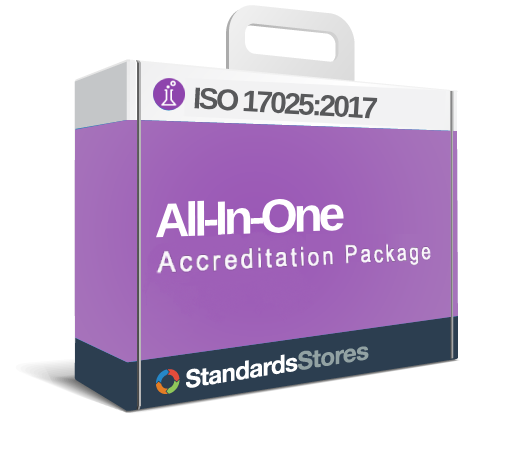 Use our ISO/IEC 17025 All-in-One Documentation & Training Package and implement your system yourself. It includes what you need in order to save time and money and be successful. To achieve accreditation, you will need to select a Accrediation Body who will preform an audit.